Hospice nurses have gone above and beyond their call of duty to give a patient at St Barnabas Lincolnshire Hospice one of the “best days of his life”. 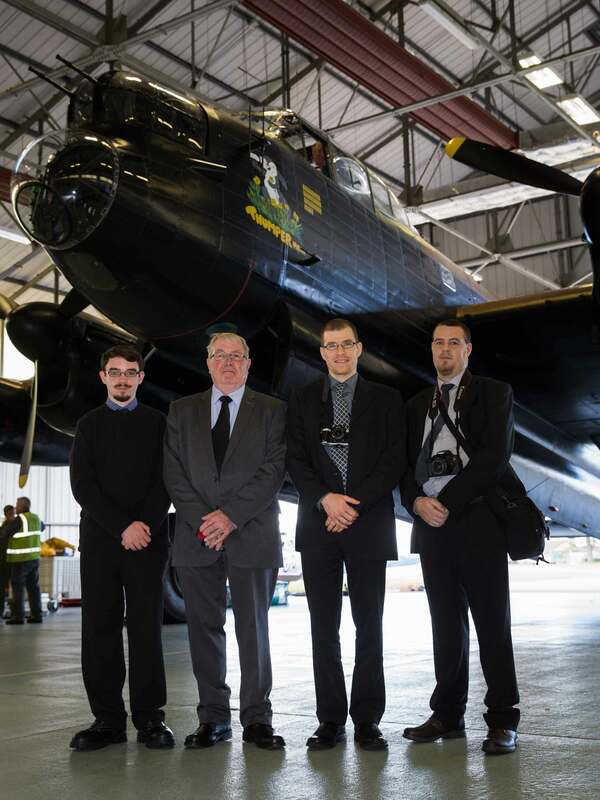 Andrew Horton was left lost for words when he received the call that he and his family would be having a behind-the-scenes tour of RAF Coningsby. Avid aeroplane fan Andrew, who lives in Martin in Lincolnshire, has been attending St Barnabas Day Therapy Centre in Lincoln for the past 14 months. Diagnosed with end stage renal failure at the age of 22, Andrew learned that he will need dialysis indefinitely or until he is strong enough to undergo a kidney transplant. A recently discovered heart condition means that the surgery has been delayed, but Andrew is hopeful that one day he will be able to get his new kidney. He said: “Life on dialysis has had a far greater impact on my life then I ever could have imagined. “It’s hard to remain positive and I am not ashamed to admit that I was becoming depressed. After hearing about Andrew’s love of planes, hospice staff wanted to help him fulfil his ambitions and contacted the Willow Foundation, a national charity working with seriously ill young adults to fulfil uplifting and unforgettable special days. “The absolute highlight has to be the moment I was allowed to sit in a working Lancaster and a Typhoon, it was like a dream come true. St Barnabas is the principle provider of end-of-life care across the county and provides day therapy five days a week from its base in Lincoln. Sarah Fitter, Higher Lever Staff Nurse for St Barnabas Hospice, said: “After taking the time to get to get to know Andrew I soon realised that he was feeling fed-up with the focus of his life being around hospital visits and that this was starting to have a real impact on his wellbeing.